Correcting someone is one of the most difficult and uncomfortable actions you can take. There is always anxiety that the person you’re correcting will feel beat up or over react. There is a way to correct someone, see improved behavior, and even win their respect. There are several reasons why people are uncomfortable with or even avoid correction. 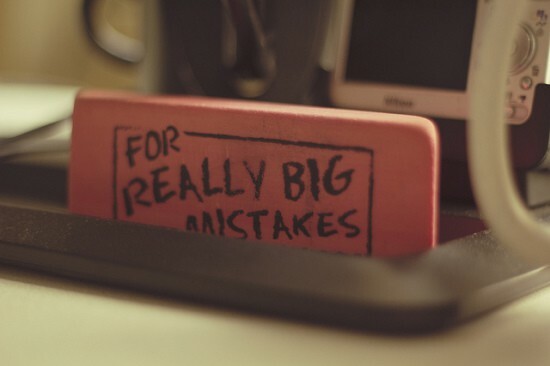 The notion of correction being a negative experience probably comes from negative experience as a kid with our parents or maybe a boss at one of our first jobs. Wherever it comes from, you have probably experienced more bad corrections than good ones. Another reason simply comes from the current culture that does not advocate for confrontation. Instead, you and I are told to “just go with the flow” and let people do what they’re going to do. While you should not be in everyone’s face about every issue you have about their behavior, you should be able to speak into the lives of the people around you — especially if their words or behavior are inappropriate or they’re under-performing. Yet another reason is that correction has the stigma of telling someone “you’re wrong.” Correction is not about who the person is, but about what or how they are doing something. Most people, at their core, want to do and say the right thing. However, when they don’t, it your job as the leader to step in and teach them what is correct and help them do it. So, I have found 3 rules to follow when correcting someone that will produce positive results including increased respect and influence for yourself. These rules apply whether you’re a manager, supervisor, or even a parent. It is never beneficial to correct someone in front of their peers. 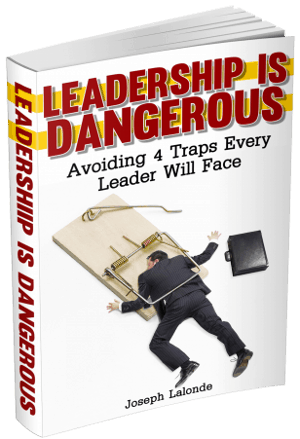 It will do irreparable damage to your team-member’s motivation and respect for you. The loss of influence will hurt you with more than just that one person. The person’s peers that witness the public correcting will also lose some measure of respect for you, because they identify more with their fellow team-member and are likely to take their side. Publicly correcting someone is also a very clear sign that you are an insecure leader. This is a foundational leadership practice, but you can never have too much of the fundamentals. Whatever the correction is, it should be “sandwiched” between 2 positive points about the person. This will reduce the likelihood of the person receiving the correction to receive it as an attack on who they are as apposed to what they’re doing. The first statement should speak to something positive they done recently followed by a statement about their value to the company or you personally. The second statement addresses the incorrect behavior, why it is incorrect, what/how they should be doing it, and why they should do it that way. The final statement should reaffirm their value and share the vision of what the company and/or you see if the behavior is corrected. I want to quickly address what correction is and isn’t. Correction is not about opinion. It is about facts. You have to be able to show the person being corrected what the standard/expectation is (i.e. office behavior clause in contract, sales goals, house rules) and how and when they did not meet that standard or expectation. There has to be clarity around this situation or it will not improve. 3. Praise corrected behavior publicly. This rule is vital if you want the behavior corrected for the long term. Why? Because most people will attempt to do what has just been asked of them. However, if they do not feel like their efforts are being rewarded, you will likely see their behavior go back to what is was before they were corrected and even become worse because they feel that their efforts to improve do not matter to you and/or the company. Correction can be a difficult and scary task, but it doesn’t have to be. It should be viewed as an opportunity to help the person, improve your team, and show that you care what they do. Question: What has been your experience, good or bad, with being corrected? How would you have wanted it done differently? Leave your response in the comments section below. This is a guest post by Kenny Lange. He is a blogger, speaker, and coach. He helps leaders and those who want to lead increase their influence so that they can lead high impact, purposeful and passion filled lives. You can find Kenny at KennyLange.com. If you’re interested in sharing on JMLalonde.com, you can find the guidelines at An Invitation To Guest Post.